Finding global warming solutions. Extreme weather events lead to loss of life and billions of dollars in economic damage. What’s more, scientists predict that global warming could increase the frequency of such events in the future. Our report, “Global Warming and Extreme Weather,” shined a light on what could become “the new normal” if we fail to avert the worst effects of global warming. Curbing flooding linked to agriculture. Thanks to our work advising the governor’s Rebuild Iowa Office, the state has agreed that flood-response measures should include agricultural land use as one underlying cause of flooding. We made the case that decreasing pollution from the agricultural sector is also a way to mitigate the flooding that our state has seen in recent years. Environment Iowa Research & Policy Center gratefully accept bequests, beneficiary designations of IRAs and life insurance, and gifts of securities to support our work. 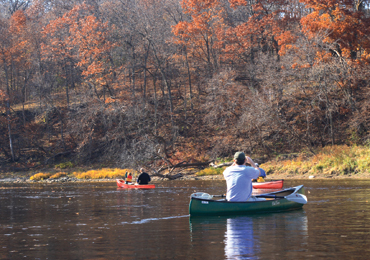 Your gift will assure that we can continue to protect Iowa’s air, water and open spaces for future generations.